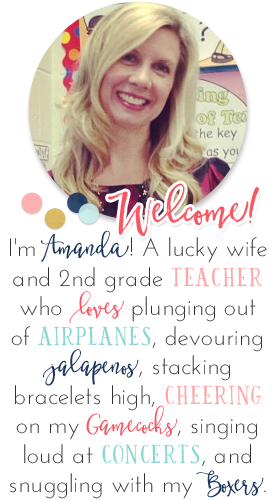 I'm excited to link up with Jessica and friends for this linky today! Often times, our Primary Shop gets the most shout-outs, so I'm happy to link up and show you one of our Intermediate products today. 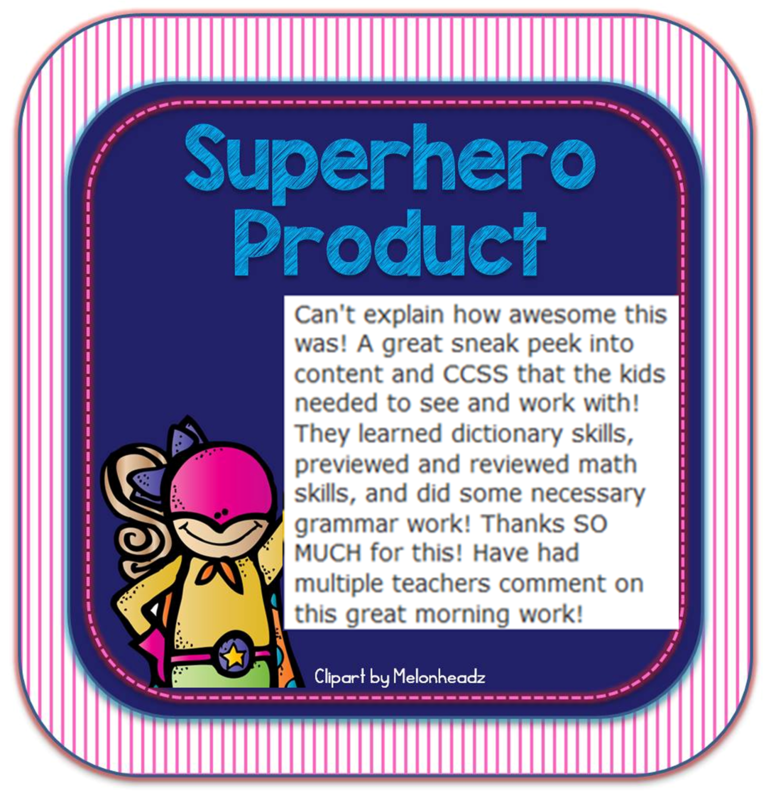 This linky is all about "heroic" products that have helped to "save" teachers in the classroom. 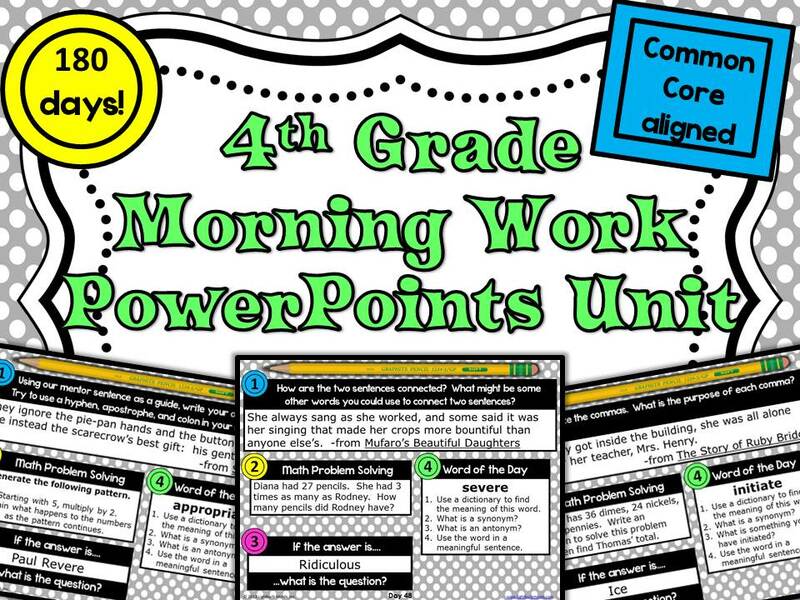 I can attest to the fact that our 2nd grade Morning Work Slides saved my sanity each and every day in my own classroom, so it's been wonderful to hear the same from teachers in other grades, too! This is an example of feedback left on our 4th Grade Morning Work PowerPoints unit. In this unit, you'll receive 180 slides of morning work. Each slide provides practice with grammar through mentor sentences, math practice, vocabulary practice, and word work. The slides provide a format that students will learn quickly, enabling them to have a valuable, independent routine to the start of each day. And the best part for you - NO COPIES! Just have students complete the work each morning in a journal/notebook as it is displayed on the board. Hop over to our Intermediate shop, Lightbulb Minds, to put this unit in your cart for the sale! It will be 28% off of the regular price of $7.99 during the sale! What a DEAL for an entire year of morning work at your fingertips! Based on the feedback, this resource has "saved" many teachers and we hope it will be a lifesaver to you, too! We hope to see you at the sale on February 25th! Will you be making these for 3rd grade? Hi Courtney! We have them for 1st, 2nd, and 4th right now. We hope to create 3rd next but it will probably not be out until this summer. I had the same question! I'd love to see this for 3rd grade. We've actually been searching all year, and haven't found anything that we like. But, I ~love~ this! 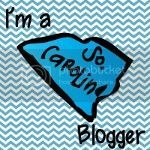 Thanks for responding, and since they are not ready yet, can I put in a request for us 3rd grade SC teachers? Please include cursive on these as well. With the new SC standards coming out next year, cursive will once again be apart of our standards.